This is a new 180G aquarium set up. Previously I have had a 30g and a 90G over the last 15 years. 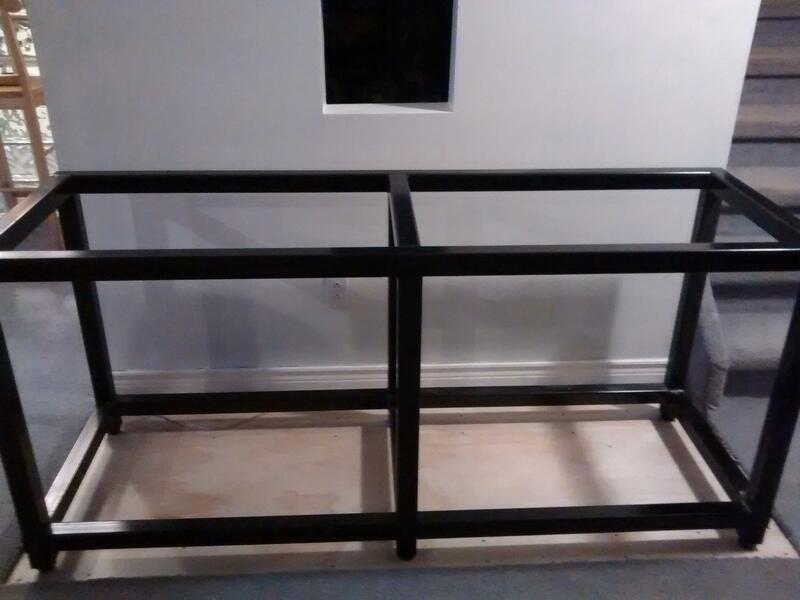 Picked up the aquarium, sump and stand in Sept. 2015. Dec/Jan worked on aquarium set up and Fish room. Set up is in the basement rec room. I re-enforced the floor where legs sit and also changed chip board for plywood sheet. Under the stairs is the fish room with pass thru to tank for plumbing. 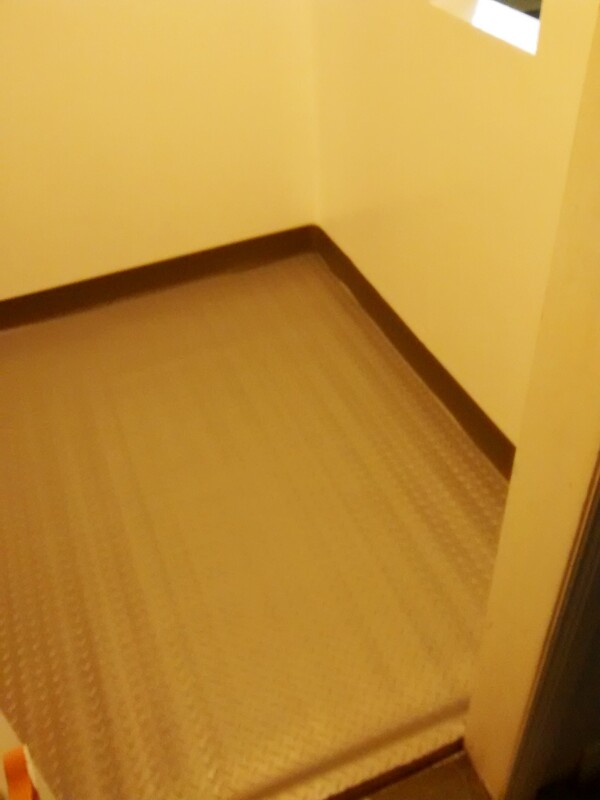 Flooring is done, act's like a shower pan (3" up the wall ). 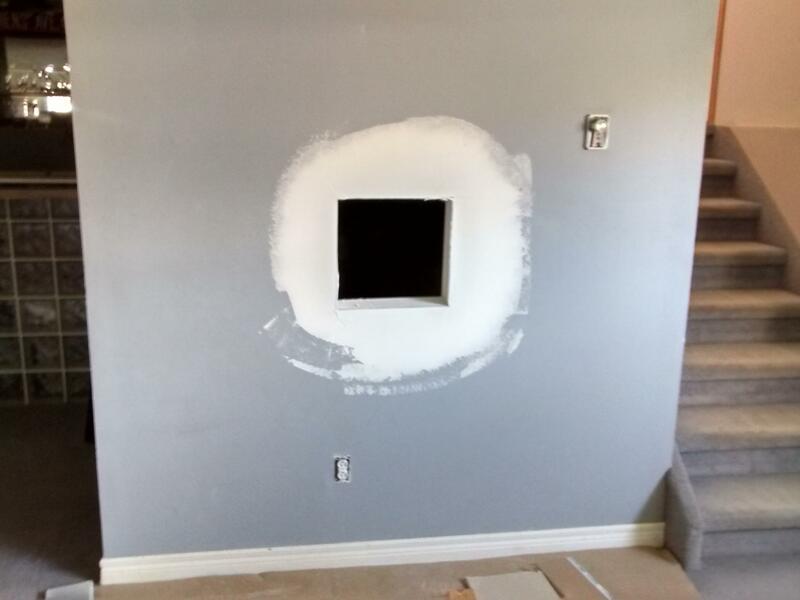 Drywall work is done and painted. Aqaurium stand set in place. Built the sump stand 18" high, plus sump should give me a good working height. 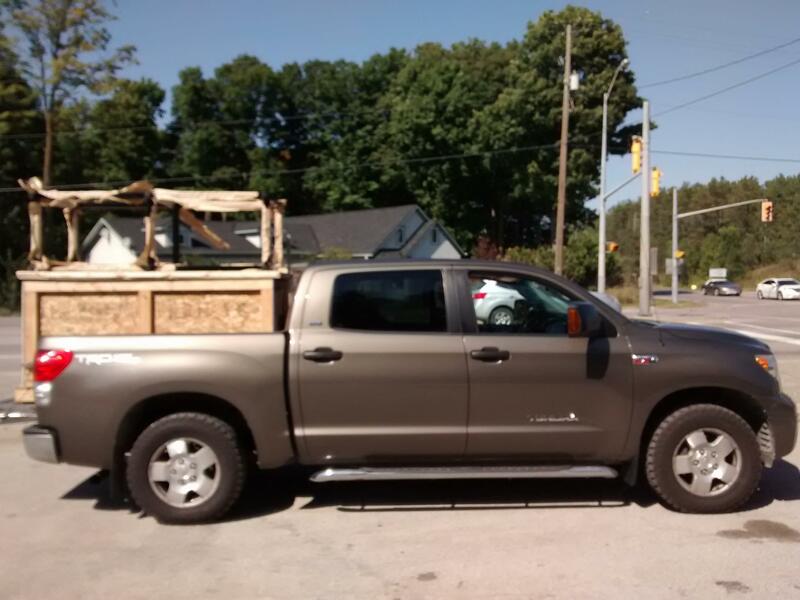 There is room for storage underneath. 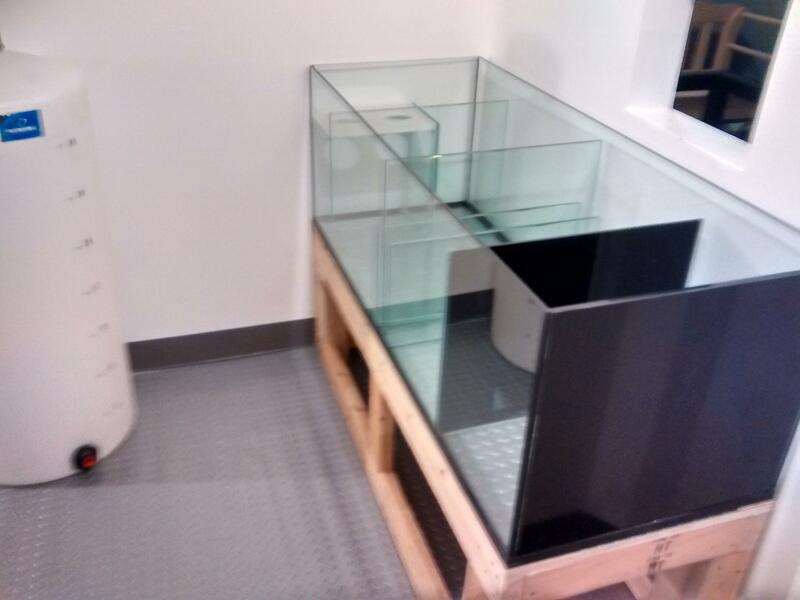 Sump is 54"X20"X18" with 4 compartments. 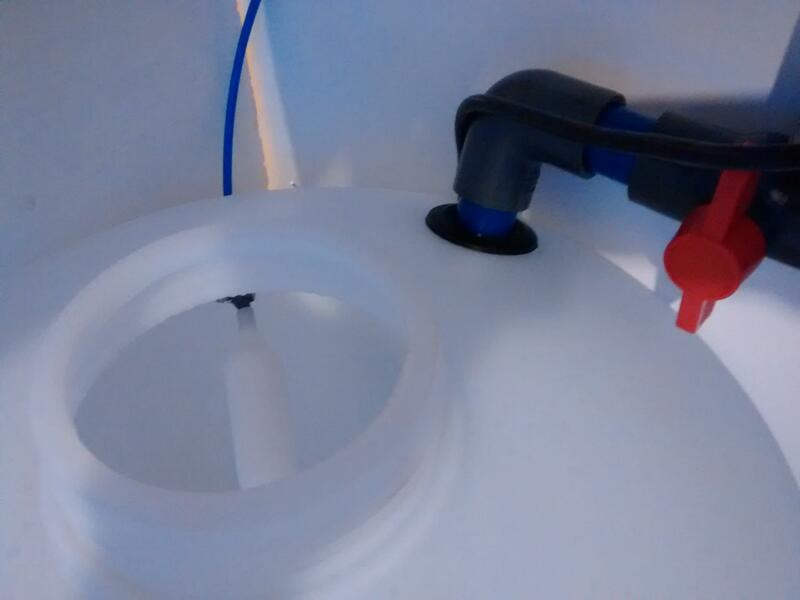 Drain/sock section, skimmer section, return section and refugium with blacked out glass. That is one nice sump you have their. It is a shame that we hide them away as I think a well designed sump can be a work of art. More pictures would be appreciated of the setup. Hopefully all is going well. Thanks Jason. All is going well, I will post more pics soon. Work on electrical is done. Plugs are set on there own 20amp breaker. 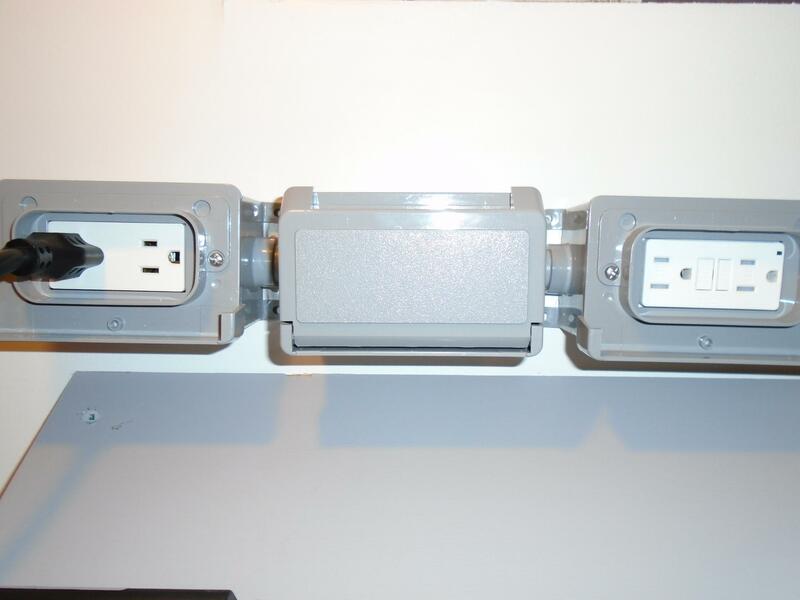 Plugs are GFI. I have 4 near water storage and Ato area, and 6 near main control board for sump/aquarium use all in the sump room. 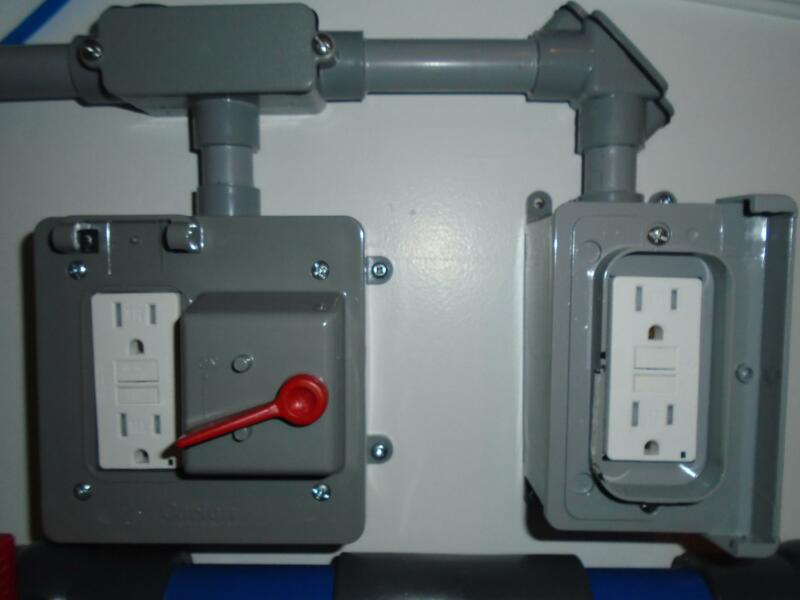 Wires are protected by pvc conduit. 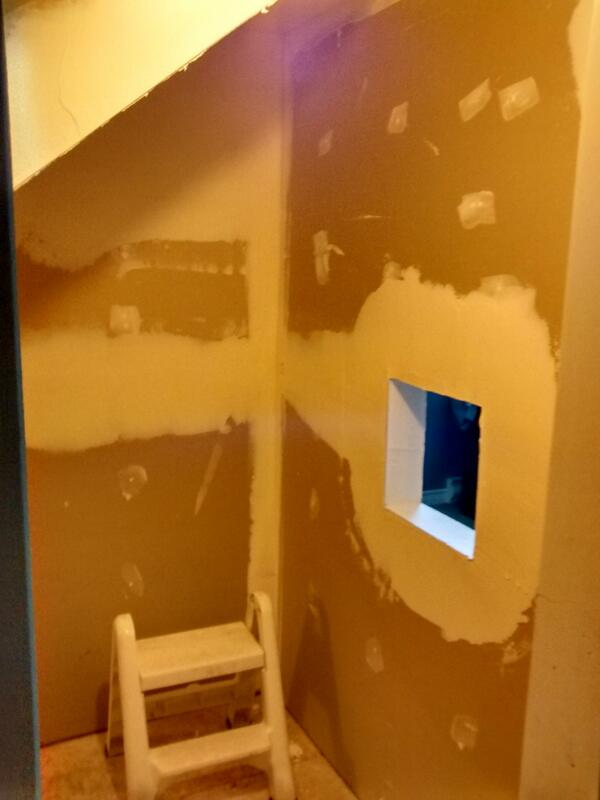 Also working on the plumbing. The electrical is looking good. I thought I was the king of overkill, but you seem to be right up there with me. Hey thanks Jason. Yes, ive been planning the set up for over a year. Here is an update of the water storage/mixing plumbing. 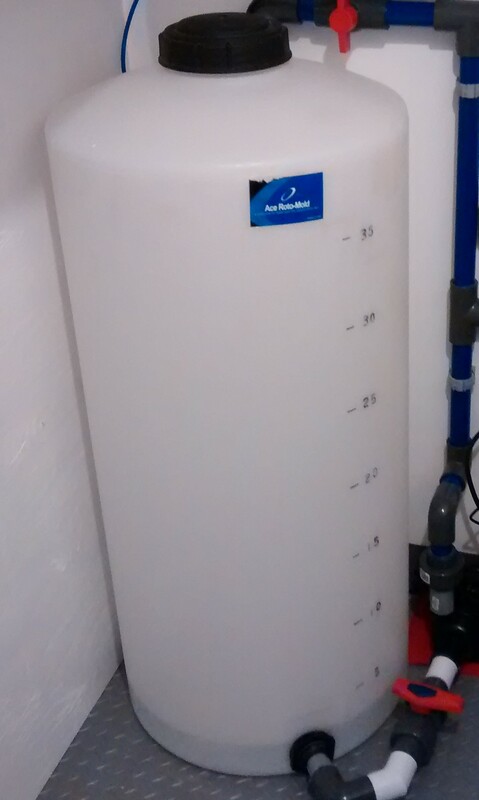 Its a 40g Vertical tank with vented lid and bottom plumbed bulkhead. 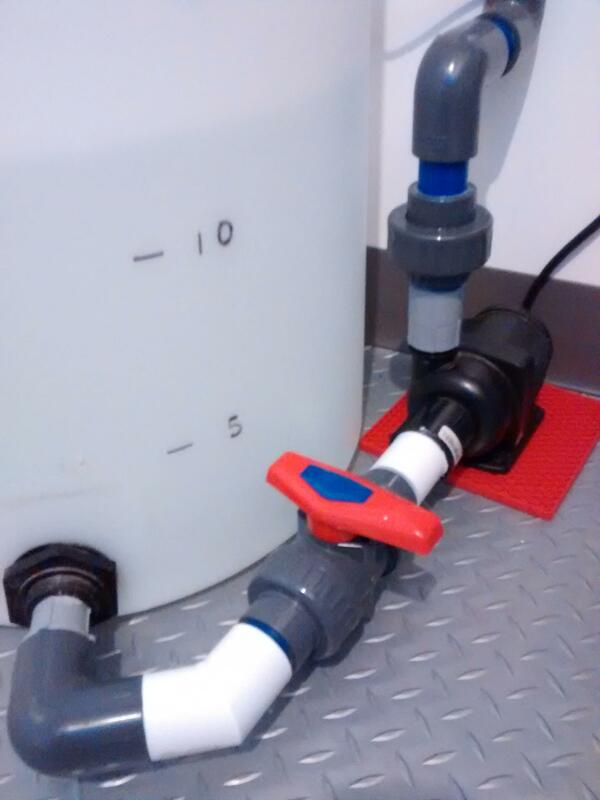 Ro/Di water is plumbed to upper part of tank, with a float valve for redundancy.